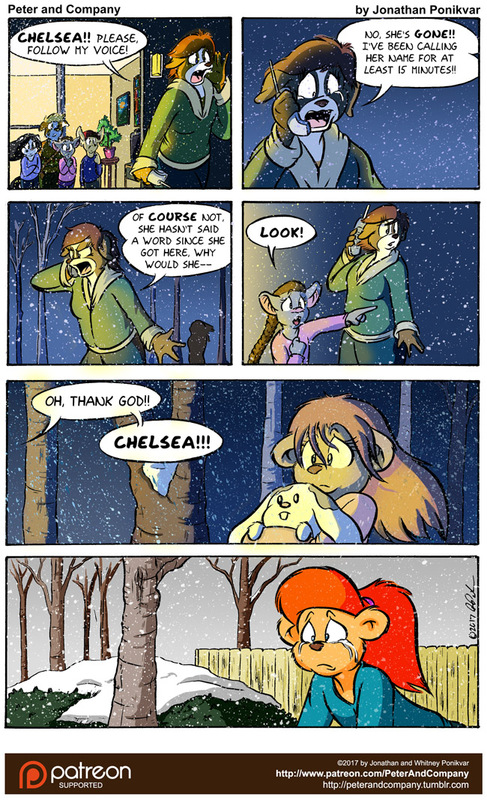 And thus was the story of how Persephoni found a young Chelsea in the woods and saved her life. Just like that, the flashback is over and we're back in present day again. This was actually the condensed version of the story. 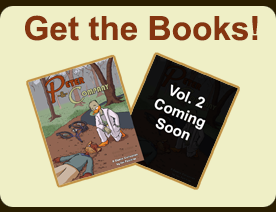 A more complete telling of Chelsea and Pearl's first meeting (with additional pages both before and after the events shown here) are included as a bonus mini-comic in the upcomic second Peter & Company collection book, Of Cats and Crushes.